This post is filed under Videos. 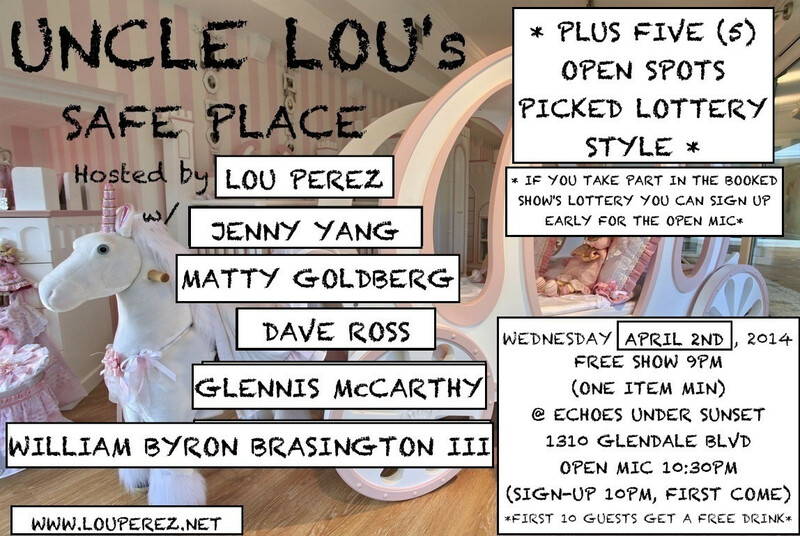 And it's tagged with dave ross, echo park, echoes under sunset, glennis mccarthy, jenny yang, matty goldberg, open mic, Stand-up, william byron brasington III. This post is filed under Shows. And it's tagged with Stand-up. This post is filed under Shows. 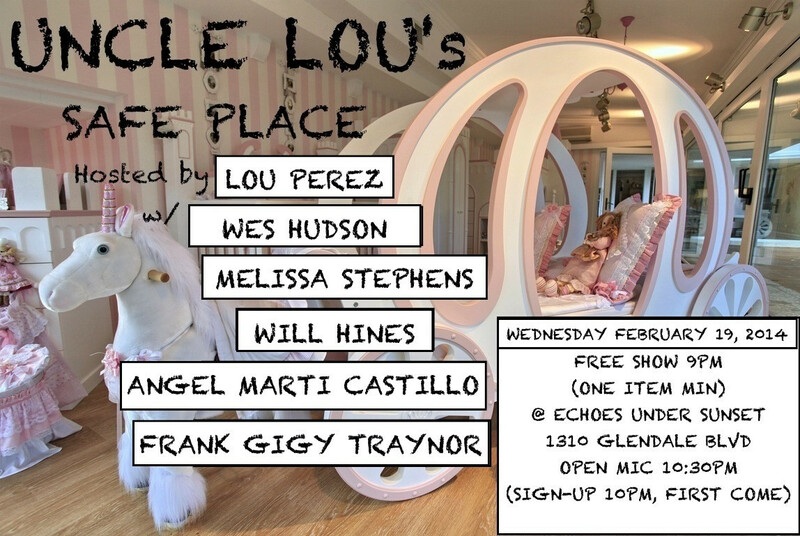 And it's tagged with angel marti castillo, echoes under sunset, frank gigy traynor, melissa stephens, Stand-up, wes hudson, Will Hines. This post is filed under Shows. 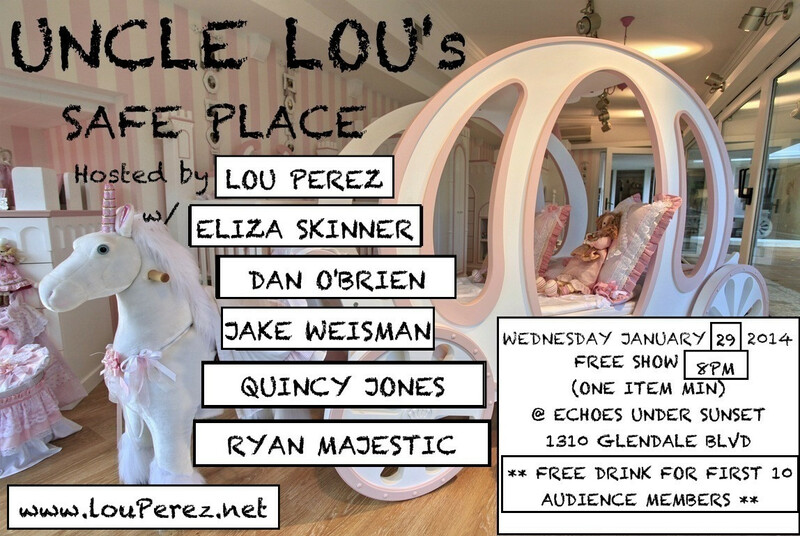 And it's tagged with Dan O'Brien, echoes under sunset, Eliza Skinner, Jake Weisman, Quincy Jones, Ryan Majestic, Stand-up. This post is filed under Shows. 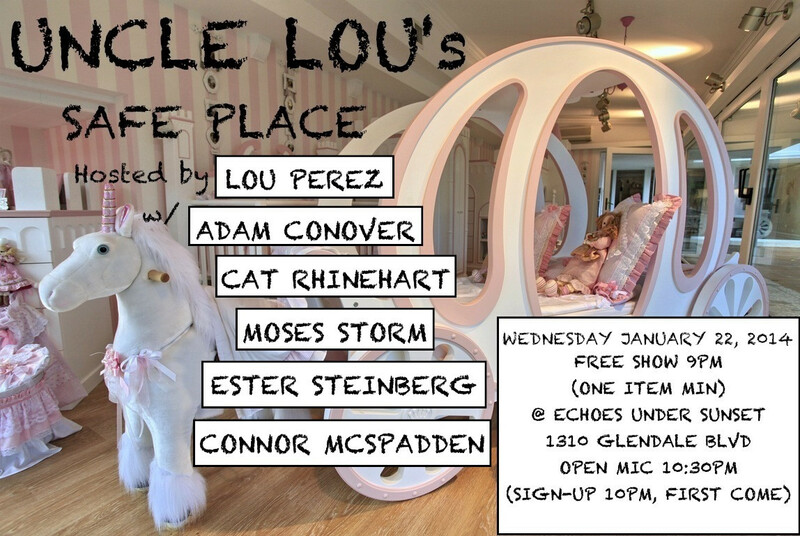 And it's tagged with Live, Stand-up. 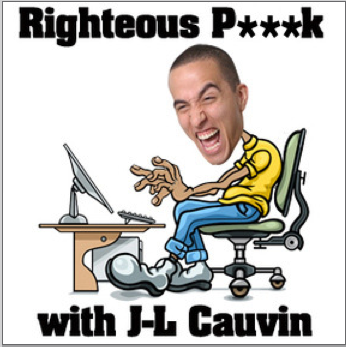 On his podcast, Righteous P***k, comedian J-L Cauvin challenges the legend of Louie CK. This post is filed under Uncategorized. 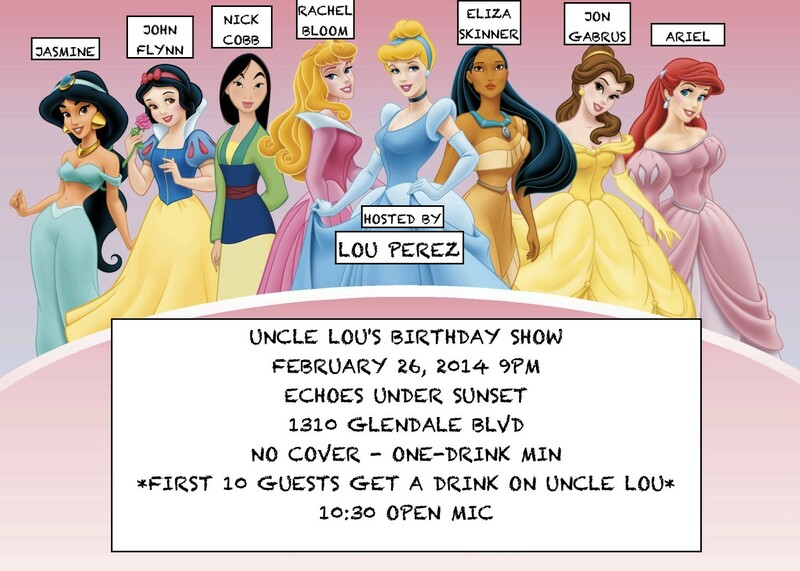 And it's tagged with Comedy, J-L Cauvin, Josh Homer, Louie CK, Stand-up. One of my favorite New York comedians, Mark Normand, takes to the park to ask New Yorkers their thoughts on the state’s recent legalization of gay marriage. This post is filed under Videos. 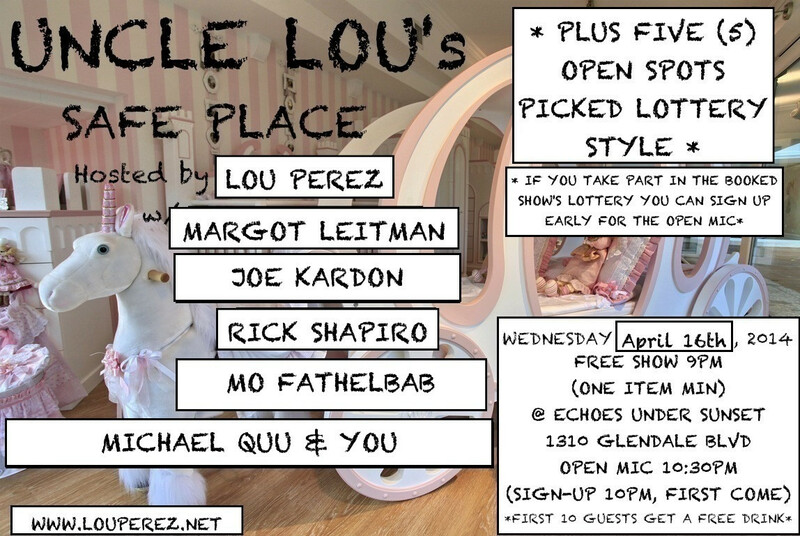 And it's tagged with Gay Marriage, Mark Normand, Matt Ruby, New York, sandpapersuit.com, Stand-up.